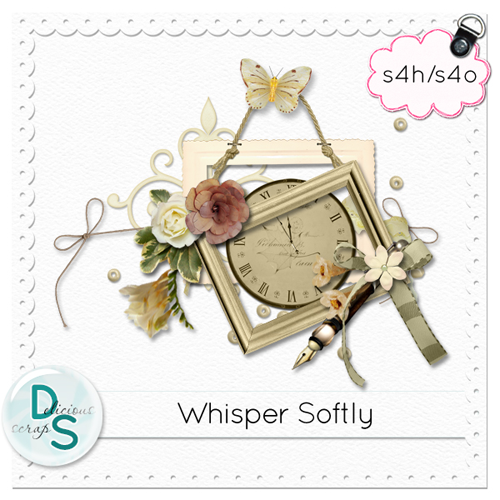 Delicious Scraps: New PTU Kit "Whisper Softly", GORGEOUS layouts and a free ALPHA! New PTU Kit "Whisper Softly", GORGEOUS layouts and a free ALPHA! Here are some BEAUTIFUL layouts by my newest CT members - Lily and Jana - very talented ladies!! Welcome to the Team!! Click on the previews to visit their blogs! This one is by Lily. Here are two LOs by Jana. This page was made by Francine!! These two were made by Trica! FABULOUS WORK LADIES!!! YOU ROCK!! Thank YOU SO MUCH!!! Here is the kit! It includes 12 papers and over 50 elements and is on sale for only $1!!! Here is the free Add-On that I released earlier. Here is the light Alpha previously released. And here is the brand new Dark Alpha to co-ordinate with the kit. Thank you so much for this Freebie. I want to let you know that I posted a link to your blog in Creative Busy Hands Scrapbook Freebies Search List, under the Kit(s) post on Aug. 08, 2009. Thanks again. Thank you for the lovely Whisper Softly add-on and alphas! !